"Windy as Flora (Playing Her Cello) aka Windy’s Grove Serenade 1992" at Edward E. Nichols. 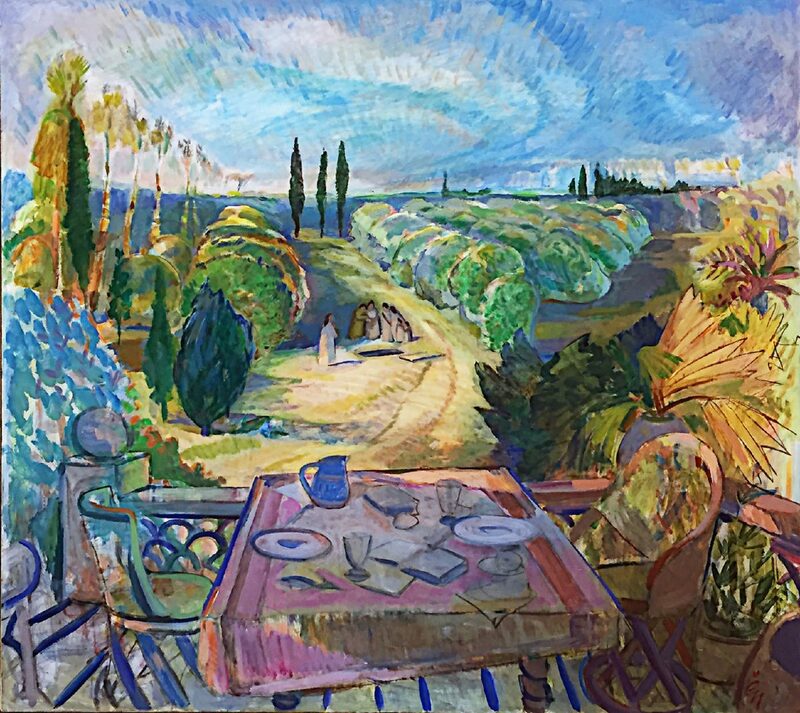 The recently installed exhibition, “Love of Life and Landscape: The Art of Edward E. Nichols,” is not only a posthumous retrospective of his superb painting, but evokes a sentimental attachment for many of us who knew him. As part of the commemoration of the International Museum of Art & Science’s 50th anniversary, this exhibition honors the major contribution made by this artist to the artistic culture of the Rio Grande Valley. Works from family and local collections encompass 53 years of his life in art including Abstraction Expressionist paintings, grovescapes, and works inspired by his travels in Mexico where he collected folk art and absorbed its culture. Nichols’ working Ab Ex aesthetic was born from its initial emergence in the 1950s. "Easel installation with Parade at the Bridge" and "Red Mask & Black Birds 2016" By Edward E. Nichols. "Echo 1998" By Edward E. Nichols. "Grovescape with the Raising of Lazarus" ny Edward E. Nichols Acrylic. "Untitled Portrait of Christopher early 1970s" By Edward E. Nichols Acrylic. Although Nichols painted on canvas, his water-based paintings on paper ultimately played an increasingly important role in his life. A notable strength throughout this show is his brilliant sense of space and placement. 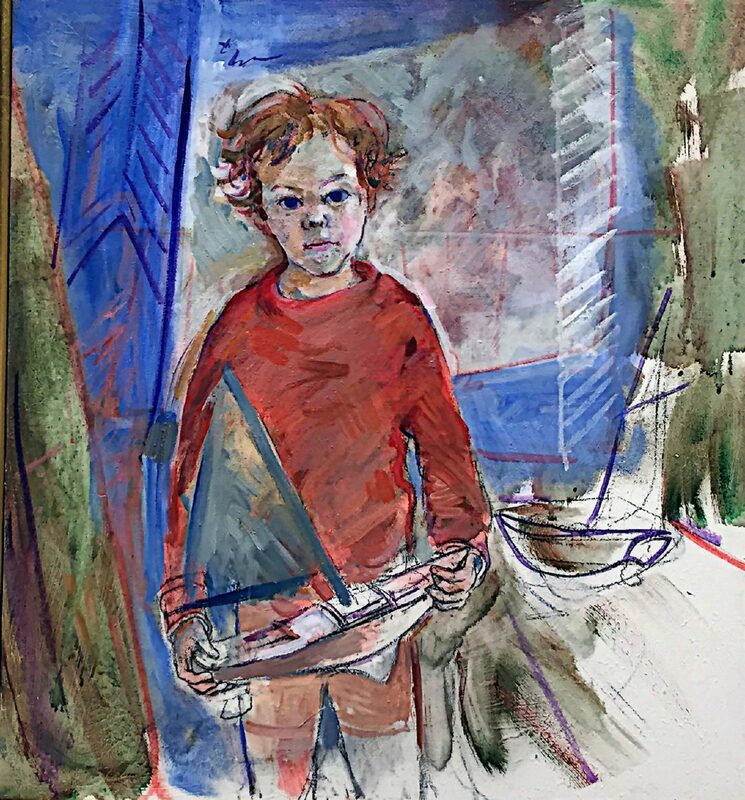 Whether it be a figure, a piece of paper, or a sudden shape such as a torn fragment of a watercolor, its appearance on the picture plane is always a sudden and fresh delight. 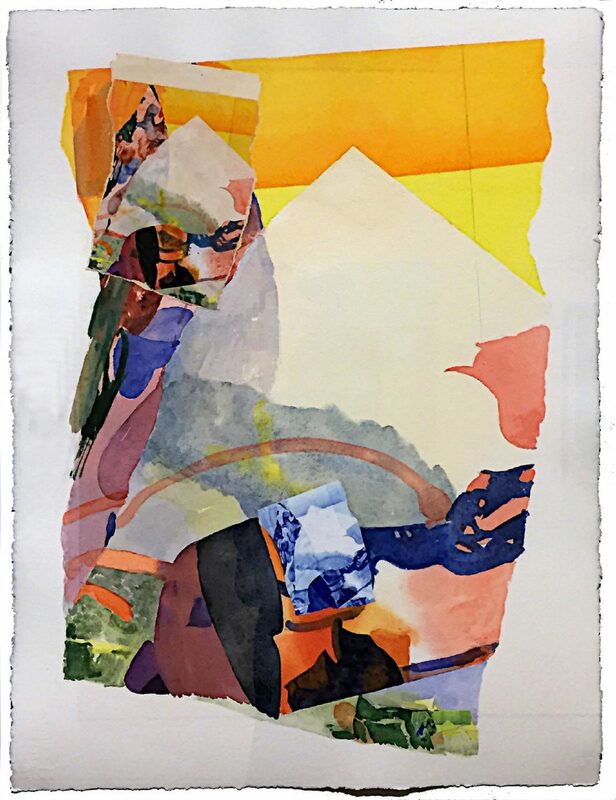 “Echo,” an acrylic collage on watercolor paper, demonstrates imaginative placement with both paint and paper. A page within a page, it is brought to life through complexities of shapes, colors, and contrasts – a page struggling to escape its boundaries. 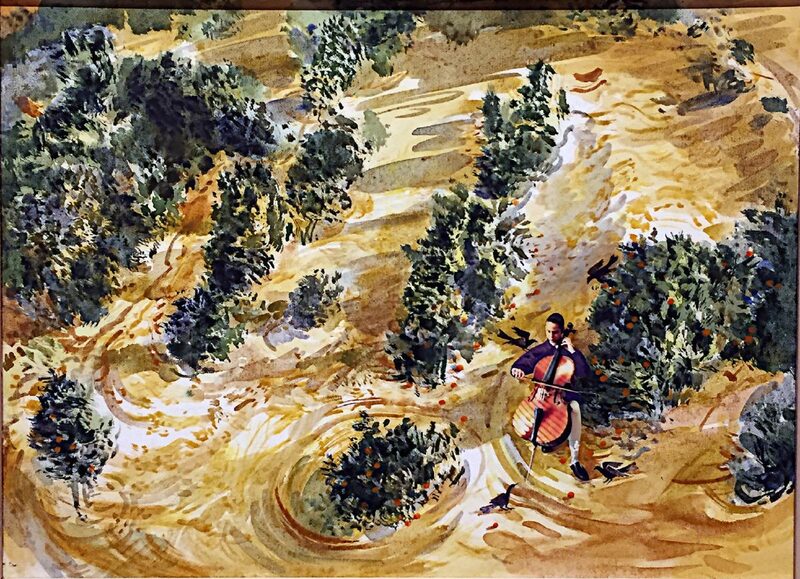 In “Windy as Flora (Playing Her Cello) aka Windy’s Grove Serenade,” he depicts a fly-over view of a cellist performing in a sparse citrus grove as though it were a normal musical venue. The grackles, which symbolized our area, approach the music. Significantly, trees and afternoon shadows pulse a staccato rhythm and interjections of lyrical swirls separate sections of the grove. It is visual music. The acrylic “Grovescape with the Raising of Lazarus” introduces the biblical theme found often in his work. Once again, the Valley citrus grove seems a normal place for this to occur. Perhaps it’s auto-biographical? He shows us this scene over a lunch table set for two. A display table contains his sketchbooks and personal materials, and an easel installation in the far corner of the gallery shares the painting on which he was working until his death. 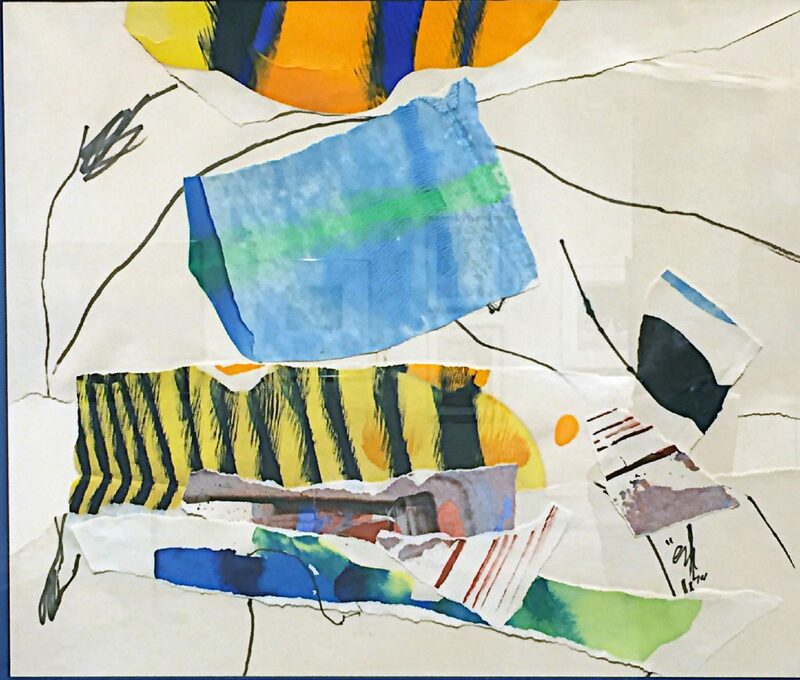 The work, “Parade at the Bridge,” acrylic on paper, captures several interests. A cultural movement crosses the bridge with a Mexican folk festival performer depicted supporting a grackle on one hand. A green jay perches on his shoulder. 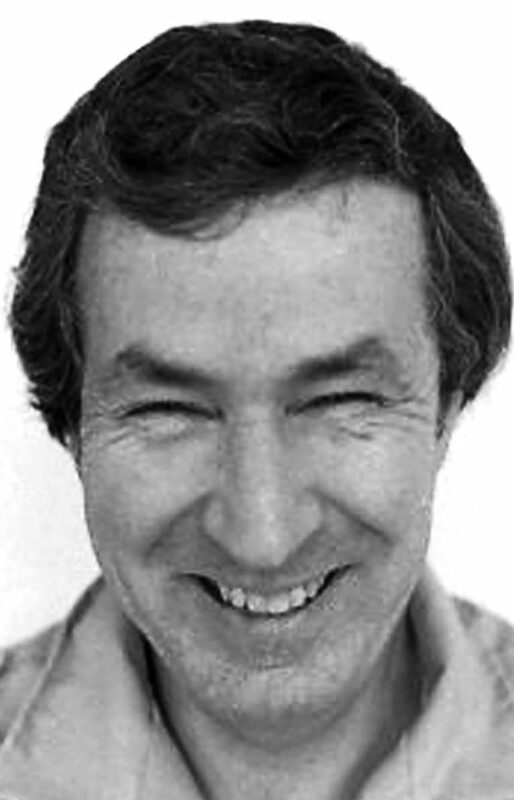 Originally from Chicago, Nichols grew up in Lawrence, Kansas, receiving his MFA from the University of Kansas. He established the painting program at Pan American College in 1966, retiring from UTPA in 1999. 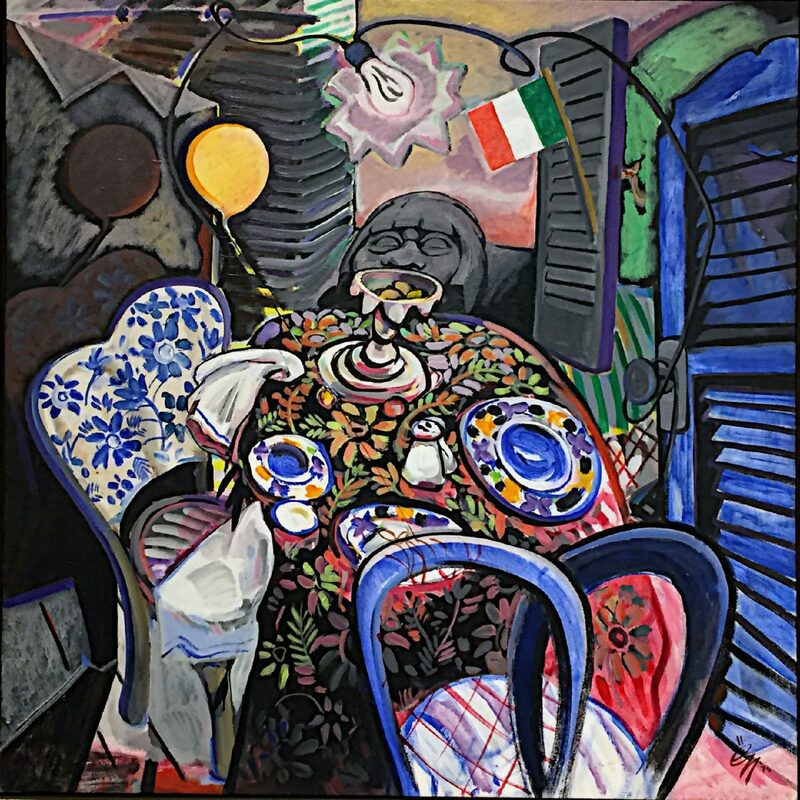 His recognitions include listings in “Who’s Who in American Art,” as well as works in public and private collections. His broad range of interests were expressed through a thoughtful spiritualism. Nichols died in 2016, leaving behind a record of his love of art and life.